Belarus in Focus: Minsk will show a lot but not everything in West 2017 military drills. Yauheni Preiherman analyses strategic advances and economic hopes of Belarus-China relations. Grigory Ioffe: Belarus’s independent voice is growing louder. IPM Research Center’s macroeconomic forecast for Belarus: recovery will continue, but its pace is slow. Fresh CSO Sustainability Index report: Belarus remains among the countries with impeded sustainability of CSO sector. MASMI pollster: Over 60% of Belarusian cities’ inhabitants deal with charity. Russia-West Balancing Act Grows Ever More Wobbly in Belarus – The New York Times writes that over two decades, Aliaksandr Lukashenka has perfected the art of playing Russia and the West against each other. But with major Russian military exercises scheduled for September in Belarus, opposition leaders, analysts, and even the American military fear that Mr. Lukashenka’s tightrope act may be coming to a close. How Minsk Should Operate to Preserve Foreign Policy Stability? – Valeriya Kostyugova, Nashe Mnenie, notes that a set of recent trends in the regional policy, as well as the exhaustion of the Belarusian economic model forced Minsk to seek more foreign policy stability. Normalisation of relations with the West is a natural part of the strategy; rationalisation of relations with Russia is another essential part. 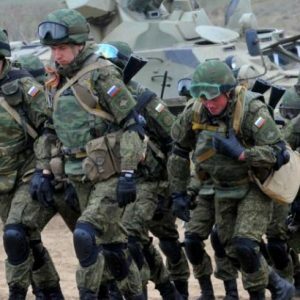 “West-2017”: Minsk Will Show a Lot But Not Everything – According to Belarus in Focus, Minsk is eager to make the September ‘West 2017’ Russian-Belarusian military exercise transparent as a manifestation of its ability to pursue an independent security policy in the region, which often goes unnoticed by the West and Ukraine, who expect from the Belarusian authorities more than they can afford. Strategic Advances and Economic Hopes of Belarus-China Relations – Yauheni Preiherman believes that relations with China can be seen as another example of the logic of strategic hedging in Belarus’s foreign policy. In a nutshell, it aims to minimise security risks, maximise economic opportunities, and diversify its strategic options. Moreover, China can be instrumental in advancing Minsk’s relations with third countries. Situation in the Field of National Security and Defense of Belarus. June 2017 – According to the Belarus Security Blog’s monthly monitoring, June was marked with a number of events within the framework of the Collective Security Treaty Organization (CSTO). The experts note that because of different standards in the CSTO countries, the creation of a unified system of military equipment and weapons seems to be a complex and long process. Toward a More Belarusian Belarus – Grigory Ioffe analyses recent developments in Belarus and reflection of media on them concludes that Belarus’s independent voice is growing louder. He gives such examples like the high-ranking Belarusian official speech at the US embassy’s reception on the occasion of the 25th anniversary of diplomatic relations, or the PA OSCE session in Minsk. BEROC’s Economic Outlook. First Quarter 2017. In 2017 Q1 the economy grew modestly, which contradicted to the bulk of forecasts and expectations. In comparison to the 2016 Q1, output grew by 0.3%. But structural weaknesses still overburden the economy. Macroeconomic Forecast for Belarus – The IPM Research Center’s regular issue contains a forecast of the main macroeconomic indicators for 2017 and 2018 and analysis of their sensitivity to different scenario assumptions. Namely, the recovery will continue, but its pace is slow and depends on the consistency of domestic macroeconomic policies, implementation of the agreements on crude oil imports from Russia, and the pace of recovery in Russia. 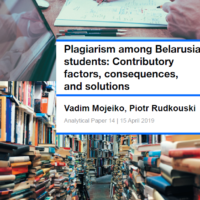 Sociological Study of Mahilioŭ Residents – An analytical paper presents the results of a survey conducted in the spring of 2017 on topical issues of the Belarusian regional centre Mahilioŭ. The study focuses on assessment of the citizens’ well being, the level of satisfaction with various sectors of urban life, etc. In particular, Mahilioŭ residents call inflation the most urgent issue; musical fests are the most requested among cultural events. Belarus Is Among Countries With Impeded Sustainability of CSO Sector – According to the 2016 CSO Sustainability Index for Central and Eastern Europe and Eurasia, Belarus has improved its score by 0.1 and reached 5.5. However, along with Azerbaijan (5.9) it has the worst rate among the countries of the region. The USAID’s CSOSI has been conducted since 1997. The presentation of Belarus CSOSI was on 15 August by ACT NGO and gathered over 90 people. Development of Environmental Friendliness in Belarus in 1990-2015 – The study is commissioned by the Environmental Solutions Center. For Belarus, this is the first attempt to collect and describe how the sphere developed. The study presents the results of sociological surveys that illustrate the actual attitude of people towards environmental issues. Namely, every fourth Belarusian thinks that she/he cares about the environment, and every fourth thinks on the contrary. Corporate interaction in the area of fight against corruption and tax evasion in the construction sector. This study provides a detailed analysis of tax evasion and corruption in the construction sector in Belarus, Latvia and Finland. The report is based on a survey of construction companies and a study of worldwide experience. In order to understand the real situation in the sphere of shadow operations of the construction sector, the study identifies specific problems in the field of public procurement, taxation and employment in the countries studied. The conclusion of the paper provides recommendations on combating corruption and tax evasion in the construction sector of Belarus, Latvia and Finland. Assessment of the effect of the programme Leadership in Local Communities. The programme ‘Leadership in Local Communities’ is implemented by the educational institution Office of European Expertise and Communications in partnership with the international organisation Pact since 2014. 49 people from 43 local communities of Belarus were trained in the programme. In the process of implementation, local leaders identified 142 local problems, engaged more than 4,600 people in solving them, managed to solve more than 90 local problems and continue to work with the remaining problems. 86% of those who participated in the program continue to work actively in their local communities. The report contains a description of the programme, methodology and results of the assessment, as well as conclusions and recommendations. 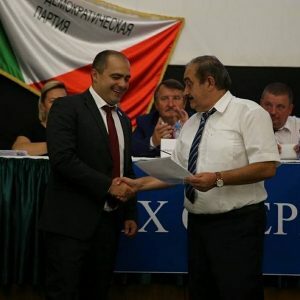 The Belarusian Liberal Democratic Party nominates its deputy head, Alieh Hajdukievič, as candidate for the 2020 presidential elections and seeks to reform the parliamentary election system. The leader of the Congress of Independent Trade Unions sides with the authorities in the REP tax evasion case. Aliaksandr Lukashenka reprimands senior officials for delays in collecting the harvest. A delegation of top Chinese corporations visits Minsk to inspect the Great Stone High Tech Park. Lukashenka demands that the population of Belarus reach 15 million; he also demands that 300,000 citizens go to work. This and more in the new edition of the Belarus state press digest. Deputy head of the Liberal Democratic Party will run for president in 2020. Belarus Segodnia reported the results of the LDP party congress. The leader of the party, Siarhiej Hajdukievič, who has run for president four times, will now yield to his deputy and son, Alieh Hajdukievič. The Liberal Democratic Party has the largest membership of any political party in Belarus, with around 45,000 members. It is one of the few parties with representatives in parliament, other governmental agencies, and the business world. In anticipation of the presidential elections, the party plans to participate in the 2018 local elections and hopes to put forward the largest possible number of candidates. The party will also lobby for a referendum on the introduction of a mixed-member proportional voting system, which will let more political groups into parliament and strengthen the country’s political culture and democracy. Leader of the Congress of Independent Trade Unions sides with the authorities in the REP tax evasion case. Narodnaja Hazieta discussed the recent arrests of the leaders of the Independent Trade Union of the Radio Electronic Industry (REP) on tax evasion charges. While civil society claims that the authorities are repressing REP for political reasons, the investigation denies any political pretext, calling it a purely economic crime. The article quotes the head of the Congress of Independent Trade Unions, Aliaksandr Jarašuk, who accuses the Danish trade union 3F of selective cooperation with Belarusian organisations and thus splitting the independent trade union movement. He claims that REP was involved in ‘dirty business’ and that he will not criticise the authorities for the criminal charges brought against REP.
Border control agencies have successfully identified the major routes for illegal migration and have the situation under control. Border control forces are also supported by voluntary, ‘patriotic’ border squads from the local population who identify and report suspicious travellers to border control agents. Delayed harvest puts senior management in hot water. Despite the fact that agricultural enterprises have everything they need to operate, the latest reports reveal that 30% of them have violated technical regulations and will thus fall short of the normal harvest, reports Belarus Segodnia. Aliaksandr Lukashenka warned top executives not to attempt to use ‘bad climate’, data on infrastructural barriers, or other ‘systemic challenges’ as excuses. He reprimanded senior executives for failing to fulfil their managerial responsibilities and mandated that the governors of three southern regions, Brest, Homiel, and Hrodna, reach the target harvesting goals – higher than in the previous years – ‘even at the cost of death’. Urging the senior executives to address poor management immediately, Lukashenka underlined the need to put to work ‘7-8% of non-functioning equipment nationally’ and ensure that the required financial and administrative support to achieve the harvesting goals is in place. Top Chinese corporations consider the potential of the Great Stone High Tech Park. A delegation of the heads of the largest Chinese corporations, led by the Chairman of Assets Supervision and Administration Commission of China’s State Council, visited Minsk to discuss investment projects. The delegations focused on the opportunities afforded by the Belarusian-Chinese Great Stone High-Tech Park. Aliaksandr Lukashenka suggested that the delegation set up high-tech military enterprises at the park. The parties also agreed to establish an investment fund in order to attract residents to the park, as well as provide market research and training for park employees. The Belarusian president underlined that Belarus and China are not ‘ganging up’ against anyone and are not violating the stability of the region. Belarus develops a strategy to deal with nuclear waste. The construction of the Belarusian nuclear power plant is causing concerns regarding the future of nuclear waste management, writes Respublika. According to the National Nuclear Waste Management protocol, radioactive waste will be kept in special storage in Belarus, while used nuclear fuel, which is less radioactive, will be reprocessed and shipped to Russia, its country of origin, after 10 years. Despite concerns regarding risks, the director of the Sosny Joint Institute for Power and Nuclear Research, Michail Žamžuraŭ, has stated that over the years Belarus has gained adequate experience in waste management and its practices are now up to international standards. Russian consulting companies are helping to develop their strategy, with the first disposal site expected to be designated by 2028. Lukashenka demands that the population of Belarus increase to 15 million. After listening to a government report on the demographic situation in the country, the Belarusian president stated that Belarus has the capacity to maintain a population of 20 million, and reaching 15 million should be a future target. This will ensure the economic security and power of Belarus, reports Soyuznoye Veche. Lukashenka has also ordered 300,000 citizens to get to work. ‘We have half a million people who do not work. 200,000 of them are families with many children, the disabled, or the ill, whom we can leave alone. But where are the remaining 300,000? We must force them to work’, Lukashenka said.